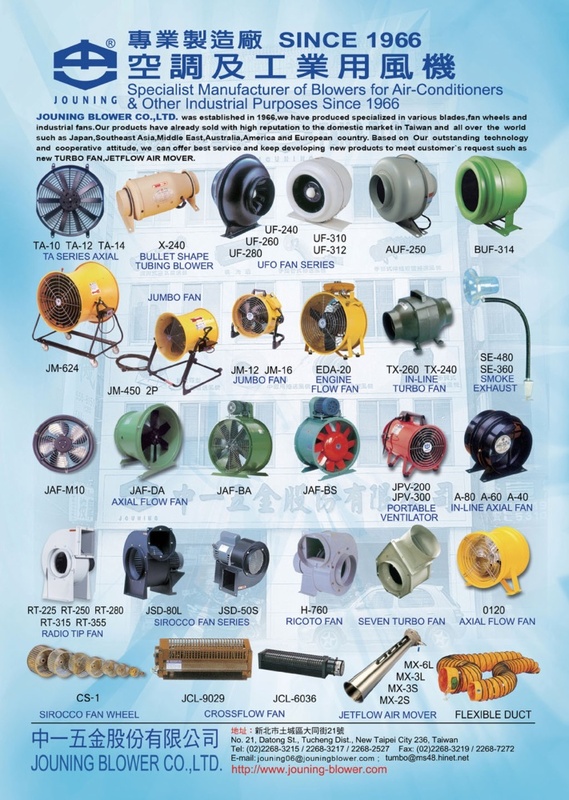 Jouning Blower Co., Ltd. was established in 1968. 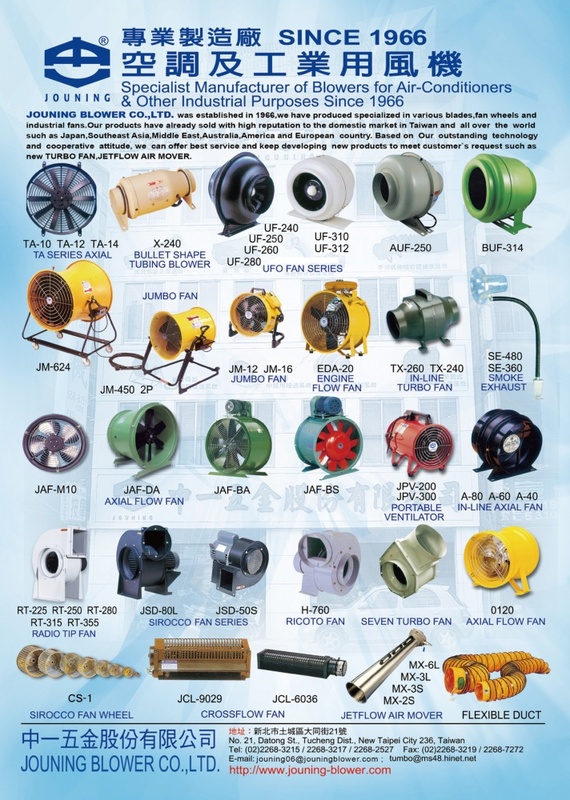 We have produced various blowers, specialized in blades, fan wheels & industrial fans. Our excellent products have been sold to the domestic market in Taiwan and all over the world such as Japan, Southeastern Asia, Middle East, Australia,America & European countries where we have good reputation for high good quality products. 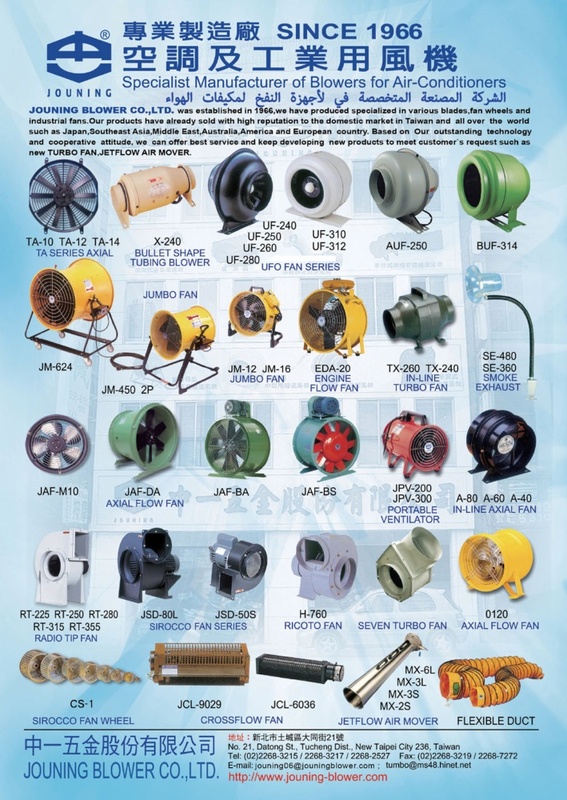 Now we will keep unceasingly developing new turbo fan, jet flow air mover, with our outstanding technology & cooperative attitude, we offer best design & excellent service for our clients.